Chemglass Coated Conical Standing Flask 125ML & 60mL GL-32 Threaded Top . New Life Scientific, Inc. 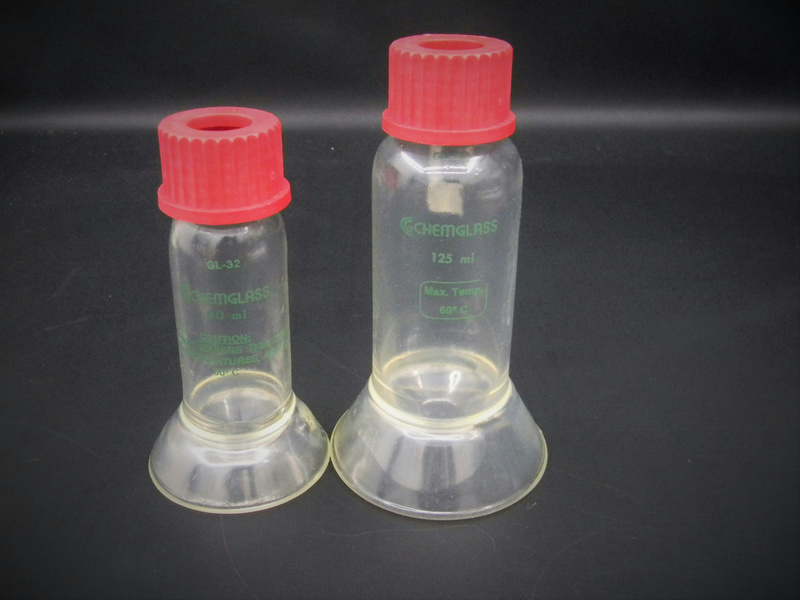 Description: Protective coated, dome bottom 125ml & 60ml flask that has a hole in it for temperature readings. Maximum temperature for the flask is 60º C (140º F). Each has a GL-32 threaded top without septum.